Very nice pics Venom817 :) !!! How did you get the files open? I tried unpbo-ing some and I couldn't. Aren't all the pbo's blocked like the DLC ones from OA? I used eliteness to open the A3 pbo then once i completed the addon I used cpbo to repack it into pbo. ThankYou very much for the mirror Foxhound really appreciated ;) !!! and thanks alot to all of You for nice comments ;) !!! I uploaded 2 PNG files one is standard BI multicam texture the other is the nohq files desaturated wich I used to overlay my textures in photoshop. Inside there's also the config I used for my units so anyone can use as reference as needed. NOTE : hiddenselections are working, but as soon as it is an alpha I preferred to keep the models inside the pack anyway. Where can i download those weapons, they look pretty good, are they avaiable? Nice photos xD. I really apreciate the addon. These are very nice. Top notch mod, thanks and hope to see more from you. 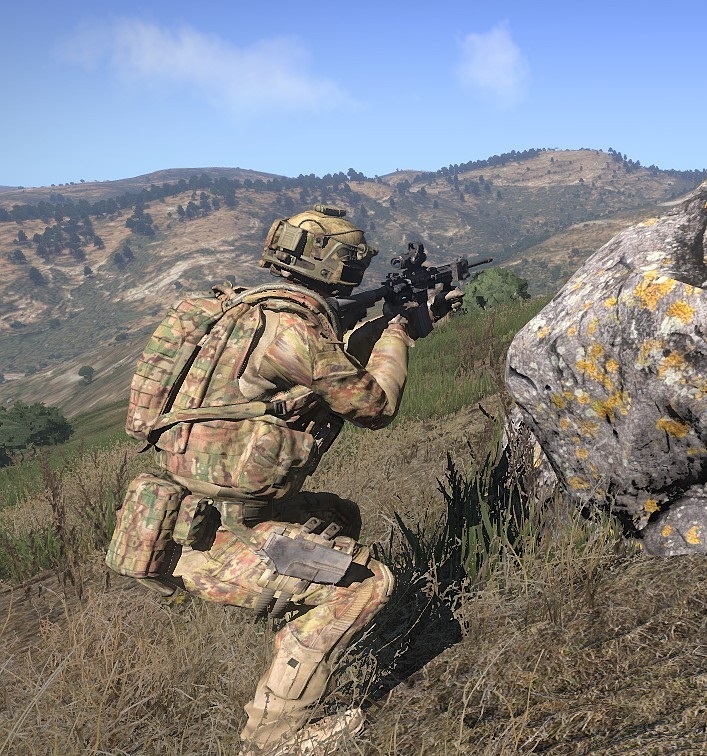 This is an updated version of my Italian SOF units, in this version Iâ€™ve removed the unused characters models , added and reworked multicam and coyote tan gear and helmets, added GPS to all units. This is an Alpha version, hope youâ€™ll enjoy it ;) ! - SOF(vegetata): for temperate and wooden areas. - SOF(digital multicam): operators in digital multicam camo for every kind of environment from desert to temperate and wooden areas. - The pack includes heavy gear units and light gear "recon units" for all the camo. - Units have their own uniform items in all camo to make them interchangeable. - Units have also their multicam and coyote plate carriers, belts. chest rig, bandoleers and multicam and coyote helmets as items. - Divers have their backpack with uniform, chest rig and helmet inside already to make them change clothes once ashore, plus their normal stuff. - Groups in the editor. 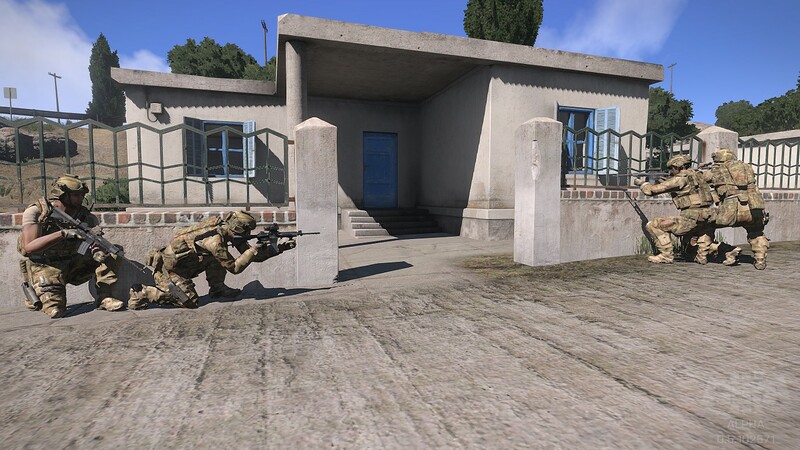 Thanks to BI for the great Arma3Alpha and to all the community for their great support and addons! Thanks to all the people that enjoied my previous units and supported me in the forum! Hope you'll enjoy these units too! 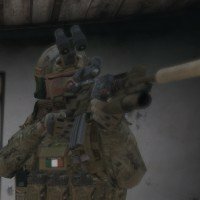 I'm releasing a final Alpha update, just for the Alpha stage of the game, of my Arma3 Alpha addons. Next updates will be probably for beta, or just in case of significant variation in alpha. I used web sources for them. 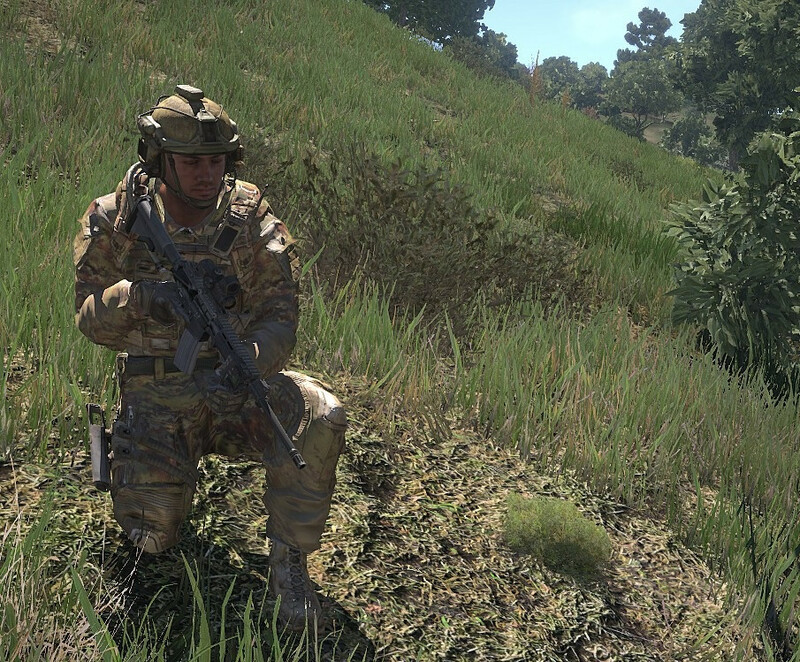 - - The pack includes heavy gear units and light gear "recon units" for all the camo. - Units have also their multicam , green and coyote plate carriers, belts. chest rig, bandoleers and multicam, green and coyote helmets as items too. - There are 2 weapon boxes one contain all weapons ammo and items, the other contains all the uniforms (20 each), gears (10 each), and headgear (10 each) stuff, you can place them in missions to quick configure your loadout. Nice mod! Just a heads up that your mod is listed under the "Animals" category in SixUpdater! Thanks a lot ;) !